Standing stones come in a variety of guises. Some are erected in circles; some make up megalithic tombs; some have intriguing patterns on them, or are steeped in myth. Long-standing questions include why they were erected and how? What do they tell us about Britain’s cultural history? 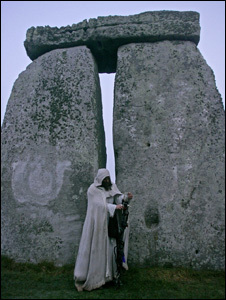 As a standing stones enthusiast, Steve Marshall has travelled the British Isles to inspect these fascinating monoliths. Stonehenge and Avebury are possibly the most famous sites in Britain, but the Standing Stones of Callanish on the Isle of Lewis also have a magical quality; and at the Ness of Brodgar, a Neolithic complex has recently been uncovered by archaeologists. With accompanying photographs taken by the author, this accessible guide to standing stones in Britain will tell you all you need to know. Steve Marshall: Independent archaeological researcher writer & musician. Author of ‘Exploring Avebury: The Essential Guide’. Ex-Radiophonic Workshop; writes for Fortean Times. Author Steve Marshall is available for specialist talks and tours of Avebury.